These are de-seeded pods not whole pods. Still pepper has all heat and flavor still minus some seeds. Pods can get crushed during transit. 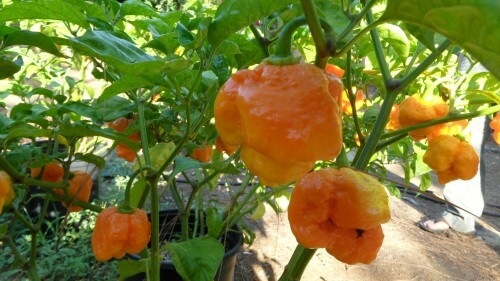 Trinidad Yellow Moruga-(Capsicum chinense)-This is the Yellow version of the Trinidad Moruga Scorpion. The heat level is close to that of a Trinidad Yellow 7 Pot. It is fruitier and sweeter than it's red relative and some would say has a citrus kind of taste which we find in most yellow Chinense types.